Sobralia Decora Orchid Cameo. A 24 mm hand carved, ‘latticework’ technique, sardonyx shell cameo, signed LP, from the class “Flowers”. Sobralia Decora Orchid Cameo. 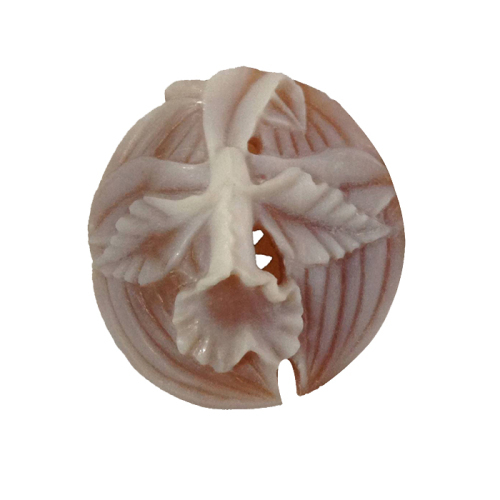 A 24 mm hand carved, ‘latticework’ technique, sardonyx shell cameo, signed LP, from the class “Flowers”. Registry #2552. Sold with a Certificate of Authenticity. Eco-friendly, Fair Trade.